Registration for the 91st Georgia FFA convention is now open! This link also includes information on Community Service, T-Shirts, TAG Workshop, Convention Entertainment & Food Drive. 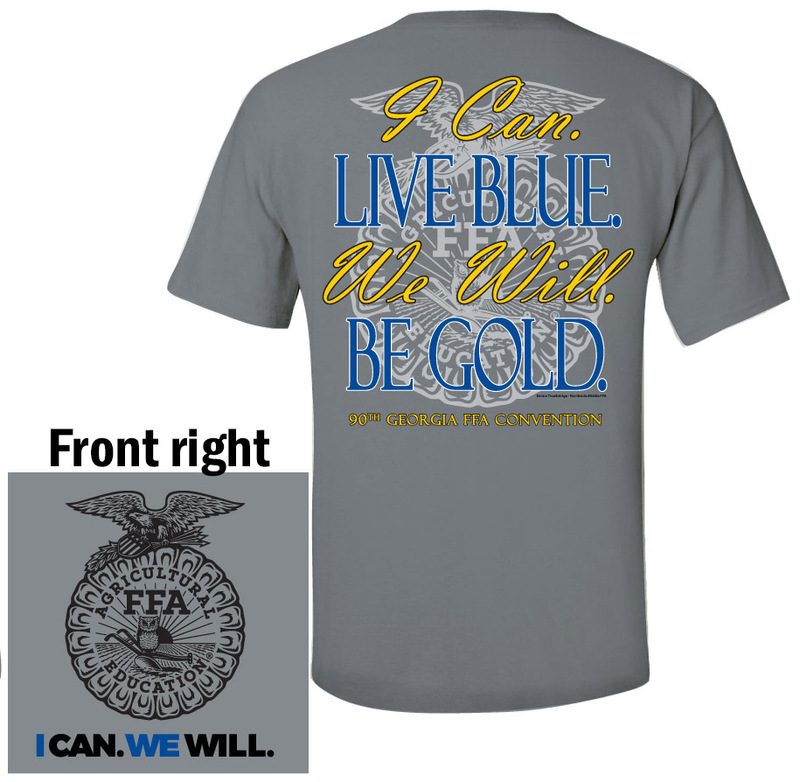 Registration for the 91st State FFA Convention is $300.00 per chapter. The online registration site closes at 11:59 p.m. March 29, 2019. Payment is due April 5, 2019. The fee for chapters registering after the deadline is $400.00. Like many young men growing up in Chicago, Walter Bond dreamed of becoming an NBA athlete. Facing injuries and other challenges with unusual determination, he rose from being a reserve player coming off the bench to become the first rookie free agent to start for the Dallas Mavericks. This astonishing journey provides the foundation for the powerful principles Walter teaches today. Walter's stories give listeners a roadmap they can follow to reinvent themselves and recover the confidence they need to level up in their professional lives. Drawing on lessons learned in the trenches both in sales and as an entrepreneur, Walter's presentations open up new ways of looking not only at business challenges, but also the world. Walter's stories are rich with humor, emotions, and authentic breakthroughs. His inventive phrasing, mannerisms, body language, pacing, and wisdom exert a powerful effect on his audiences, making his message memorable for months and years to come. Walter has impacted hundreds of thousands of people in his rapid rise to the top of the speaking industry. Through his keynotes, workshops, books and CDs, Walter teaches that when you learn to eliminate excuses, understand the power of mentorship and control your mindset, that confidence and success are possible for all who desire it. Recognized as one of the world's preeminent experts on sales, motivation, and leadership, Walter has been helping people turn self-limiting beliefs into self-empowering strategies for more than a decade. Even though Adrian Schunk knew all about FFA from her dad, who as a member, it wasn't until her agriculture teacher encouraged her to compete in the Creed speaking leadership development event that she developed a passion for the organization. "Ever since then, I have fallen in love with the corduroy community and the growth we pursue together," she said. While attending Mason High School, she had two supervised agricultural experiences (SAE): agricultural education and maple syrup production. 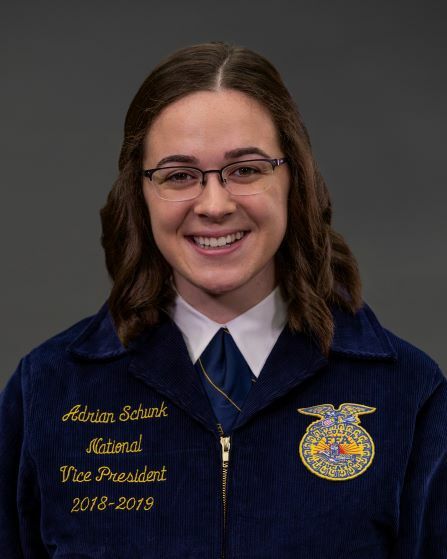 Schunk was elected to the 2018-2019 National FFA Officer Team as eastern region vice president at the 91st National FFA Convention and Expo. Majoring in communications, Schunk is a sophomore at Michigan State University. She served as the 2017-2018 Michigan FFA State President. "In every conversation I am afforded this year, I hope FFA members are pointed back to their value and potential," Schunk said. "Our chapters, communities, organization, and industry need each of us. I cannot wait to continue pursuing diversity and inclusion in the National FFA Organization to meet the diverse needs of our world, together." All chapters interested in participating in community service opportunities during the state convention must register. Activities will be conducted during the day on Thursday, April 25 in cooperation with the Rebuilding Macon organization. Activities will include painting, site clean-up, possible construction/repair opportunities, etc... Chapter's who would like to participate, please register here. The Georgia FFA Association will host the 19th Annual Career & Trade Show during the Georgia FFA State Convention. We are seeking a wide range of agricultural representatives to exhibit to over 5,000 students & advisors from across the state who will be attending the one-day show. Last day for early registration is March 23rd. The Georgia FFA Association is hosting a dance for FFA members attending the 91st Georgia FFA Convention. The dance will start at 9:30 p.m.on Friday, April 26, (after session 5) in the Exhibit Hall. Tickets to the convention dance are $10 each and are available through the chapter online registration process. With approximately 5,000 FFA members, advisors and guests, Courtesy Corps is an essential part of the smooth running of such a major event. Please review the information on this link and register your chapter if you want to be a part of Courtesy Corps at State Convention. Please contact Kent Benson (kbenson@gaaged.org) with questions. This year's convention t-shirt is a Comfort Colors! You can pre-order T-shirts through the online registration system for $16.00 or purchase them on site for $20.00. • Want to win a trip to National Convention! • Need a purpose for some of my students to attend the State Convention! • Have a cool idea for promoting local and Georgia agriculture! If any, or all, of these statements are true for you, then register for the Hall of Georgia competition! There are 34 candidates seeking to become a member of the 2019-2020 State Officer Team! 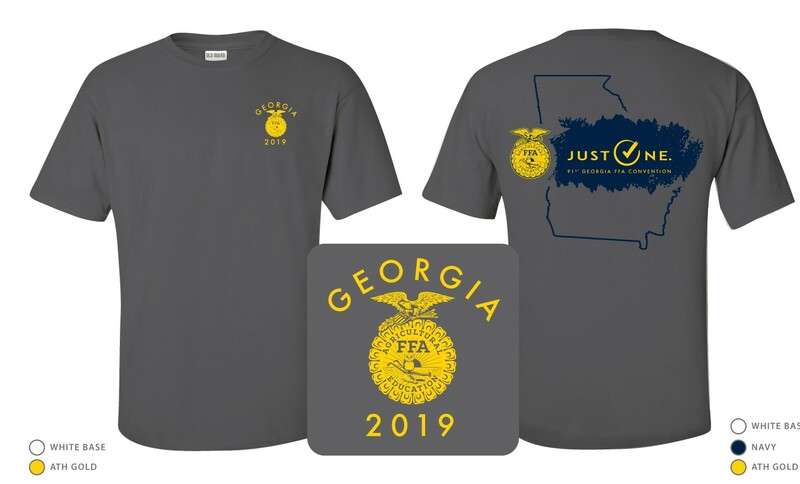 Again this year we asking Ag Teachers to identify 1 or 2 students who are (or should be) seriously considering a career in Agricultural Education, and nominate those students for the TAG (Teach Ag Georgia) workshop at the State Convention. The workshop will be held on Friday, April 26, at 1:00 p.m. and is by invitation only. Only 50 seats are available, and seats are available on a first come, first served basis. There is no cost to attend the TAG workshop. You can nominate students through the online convention registration system.